Such a fun and happy color! 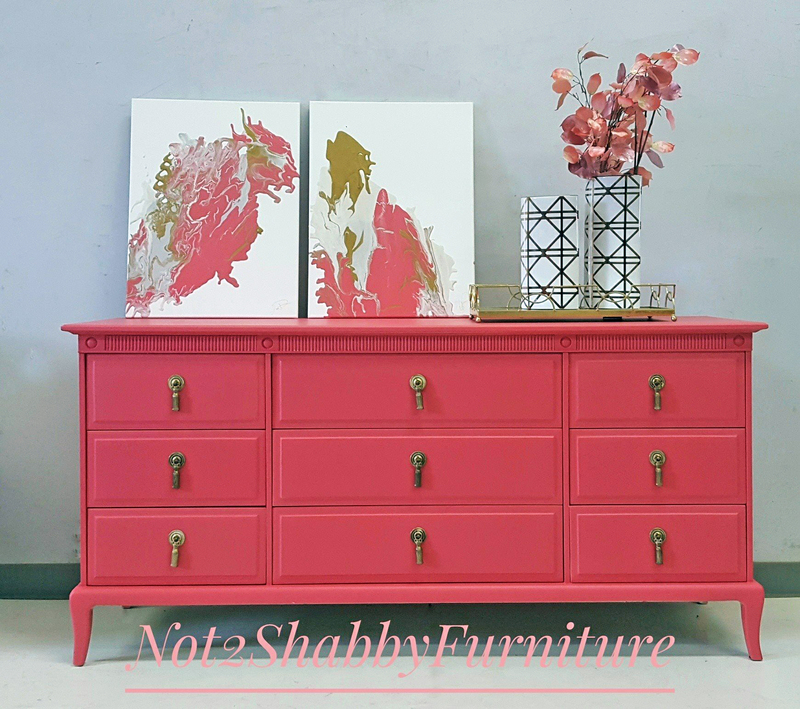 Not2Shabby Furniture restyled this dresser with GF Coral Crush Milk Paint. The canvases named "Beauty & The Beast" were also created with General Finishes products: Coral Crush, Seagull Gray Milk Paint and Champagne and Argentine Pearl Effects.